In the first week of November 2015 CISHeW’s Strong Communities, Healthier People (SCHeP) project hosted the first Student Selected Component of the new Curriculum 21 for Cardiff University medical students. 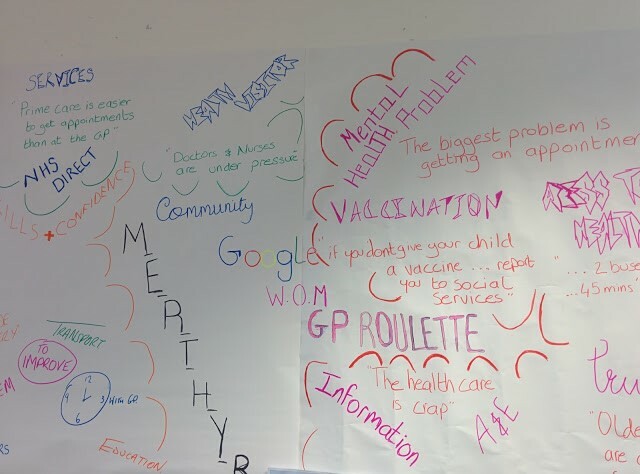 The aim of this component was to give second year medical students the opportunity to engage with local communities to get some real hands on understanding of those issues that contribute to health inequalities in some of our poorest communities. The two teams organised their presentations using two different analogies. 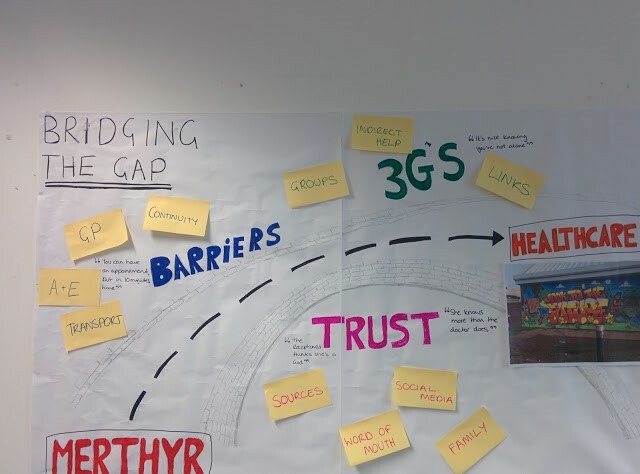 One team used the image of a bridge under the theme of “bridging the gap” exploring how information is shared between the community on one side of the bridge and the healthcare system on the other and along the span of the bridge there are the facilitators and barriers to accessing healthcare and information such as transport, word of mouth and trust.